At 8:20 a.m. Feb. 28, more than 2,500 people lost power in and around Salt Lake City when a 17-year old driver fell asleep at the wheel, crossed several lanes of traffic and crashed into a power pole and power box. Miraculously and thankfully, no one was hurt, but it could easily have been a much greater tragedy. About 1 in 10 car crashes are due to drowsy driving, and young drivers, people between the ages of 16–24, account for more than 50 percent of them. 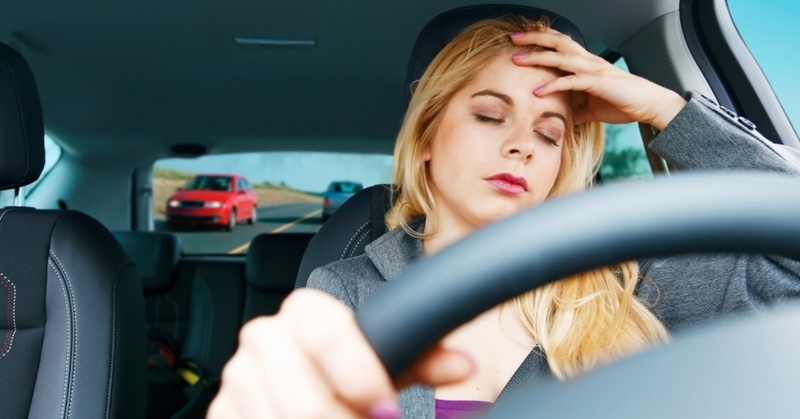 In fact, a 2012 study in JAMA Internal Medicine found that being sleepy at the wheel carried almost as much risk as alcohol ingestion. I don't know of any parent who would knowingly allow their teen to get behind the wheel of the car while drunk, and yet many parents let their kids drive while sleep-deprived. As a sleep researcher and parent of a teenager myself, I understand the dangers of drowsy driving, but many parents unwittingly allow their teens to drive while drowsy on a daily basis. Teenagers are among the highest risk groups in the U.S. for being sleep-deprived. Only about 10 percent get the roughly nine hours of sleep per night that their bodies need to function optimally. Many factors contribute to adolescent sleep loss: busy social lives, homework, excessive use of technology and early school start times. While it was unclear if the teen driver in the Salt Lake City accident was headed to school, 8:20 a.m. (when the accident occurred) would be on the late side for the start of classes at most American high schools. The average school start time in the U.S. for middle and high schools is 8:03 a.m.
Later school start times are linked to a significant reduction in motor vehicle crashes — up to a 70% reduction in one district. Nevertheless, studies have shown that later start times are linked to a significant reduction in motor vehicle crashes — up to a 70 percent reduction in one district. It's alarming to think that many parents send sleep-deprived teens out the door to get to school over an hour before this young man fell asleep at the wheel. Across the country, including in Salt Lake City Public Schools, there has been increasing debate about whether schools should heed the scientific evidence and the recommendations of major medical organizations to delay school start times. Logistics, including the impact on sports, after-school jobs, child care and costs, are often the major deterrents to changing the status quo. Regarding costs, it is generally assumed that delaying school start times will place an undue financial burden on schools that are already feeling strapped, without considering the potential economic benefits of such a change. A recent RAND report, however, found that delaying school start times across the U.S. could result in significant economic benefits — up to $83 billion over a decade; benefits that would be accrued in part, by a reduction in the rates of drowsy driving crashes caused by sleepy teenage drivers. As this latest crash demonstrates, there are many other “hidden” costs of having sleep-deprived young drivers on the road — like restoring power to over 2,500 residents. The costs of not addressing the adolescent sleep loss epidemic demand multipronged efforts to curb this epidemic, including addressing systemic-level factors, like early school start times that are known contributors to adolescent sleep loss. This commentary originally appeared on Salt Lake Tribune on March 11, 2018. Commentary gives RAND researchers a platform to convey insights based on their professional expertise and often on their peer-reviewed research and analysis.